Time to pack away the swimsuits, beach towels, and flip-flops…this is the time of year that brings us stacks of school supplies, new backpacks, and the anticipation of meeting the man or woman who will be in charge of putting valuable information into your child’s brain for the next nine months! Whether it’s your first time to meet the teacher or you’ve been around the school yard a few times, there is always a sense of relief and wonder combined when your kids walk into that classroom for the first time and you mentally size up their teacher. Who are these amazing humans who dedicate their lives to teaching other peoples kids? How will they influence your child this year? And crucially…what sort of things can you buy them to show your deep appreciation for being in charge of your child for hours and hours on end? We polled our customer base and were thrilled to hear from many of them who are dedicated teachers, bus drivers, speech therapists and school librarians. We’ve compiled some of their insight and hope that this gives you a little window into their world! What do you wish your students parents knew? Julie Curry – Grades are not everything. Let them be kids. Almost no one is good at everything. Let them learn without the expectation of perfection. And advocate for your child, but also assume positive intent of school staff unless you learn otherwise. Jen Smith – I wish parents sometimes remembered that we are human and will make mistakes too. That we need grace just as much as we give grace to their kiddos each day. That we do have the best interest for their kids as well. It’s team work. Cassie de Turk – Having parents check the binders/planners/bags of their kid(s) nightly or even weekly is very helpful for helping them stay caught up in class. Nicole Silich White – Remember that your kiddos are adjusting. Uh hello “Monday after vacay” they may not be jazzed about going to school the first week or so. Andee Johnson (pictured below) showing us how perfect the Nicole is for a back to school accessory! The Nicole in Navy and Nicole in Glacier are both included in the Back to School Sale going on now! Carrie Anne Motsinger – As a teacher, I wish more parents knew just how much of our own money we teachers spend on back to school supplies for their students. My advice isn’t always well received, but, for new parents, try not to linger – if your is doing just fine, or even if there are tears, don’t lurk by the door, give your hugs and kisses, say your goodbyes and go. The longer an antsy parent lingers, the more a child can feed off that energy, growing more anxious and upset him/herself. Heather Kreischer – I wish more parents understood how much time and effort teachers put in to getting ready for the new school year (and not just effort and time but also emotionally). I would love for “my” parents to know how excited I am for the year and know how much I care about my students and their families. Denise Carrillo Cater – I’m an Elementary School Librarian: While the large amount of paperwork at the beginning of school can be overwhelming, please make time to read all of it. Notices are never created just for the fun of it. We all have important information to share, information that will make the rest of the school year easier for all. The weekly Newsletters are a great way to know what’s going on with your child’s school. It’s a busy place, and we want to make sure you’re aware of every important piece of it. Amber Schlotterbeck Rush – Don’t be afraid to talk with your child’s teacher. Your parental intuition is probably the same thing the teacher is feeling. I would like to tell my parents thank you for trusting me with your kiddos and that each day I will make the most of our time together! 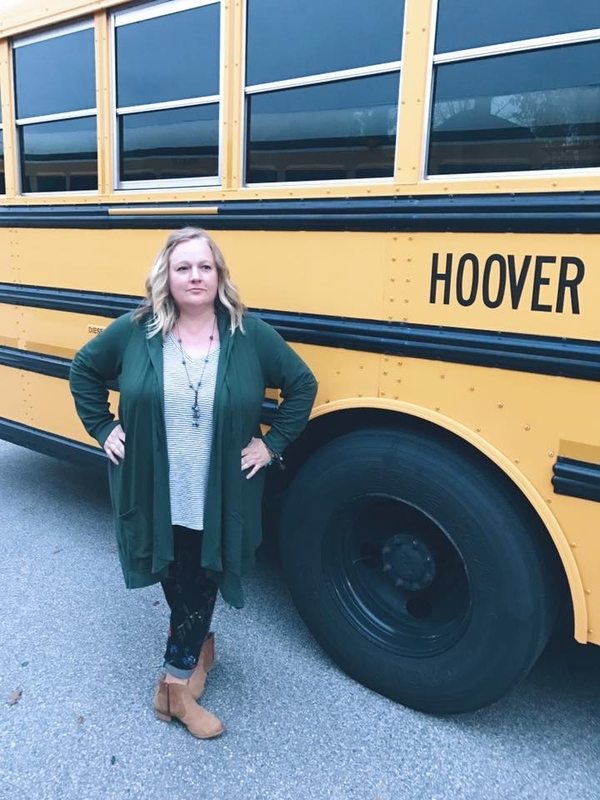 Andrea Boswell Blakeman – As a teacher I would like parents and students alike to know that I am on their side! I want them to succeed and have a happy year. I care about what is happening in their lives and want to know about struggles they are facing. It will help me to know how to pray for them and how to be sensitive to their needs in class. Let your guard down parents. Don’t be defensive. Listen to me and I will listen to you. We are in this together for the good of these precious kids. 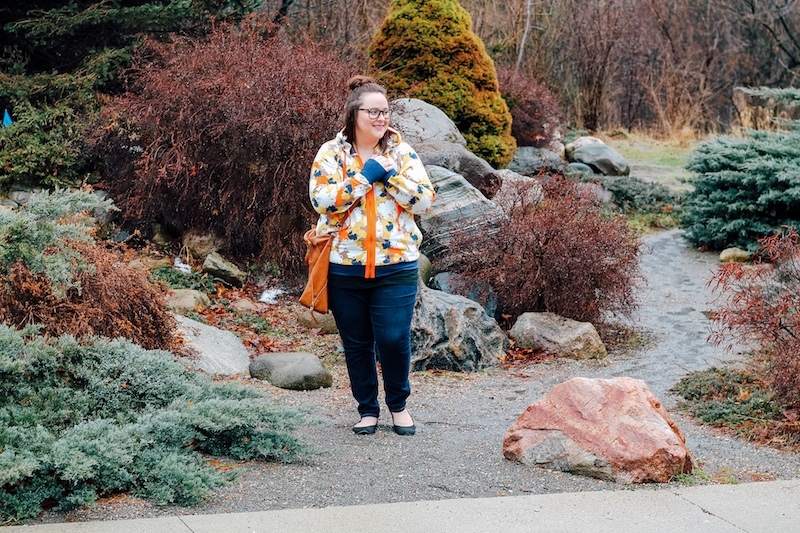 Kendall Rayburn shows us how perfect the Hallie in Spring Floral is if you’re heading into any classroom! Available now during out Back to School sale. Sara Dobish – I teach high school and would love to tell parents that they need to remember that school is their child’s job. I have so many students who are required to work by their parents, so they put in a 7 hour day at school and then work another 5-6 hours after school and then go home to start homework at 10:00. I literally get emails from students at 2:00 in the morning! Wendy Beck Steiner – it’s a million times more important to me to have respectful and polite kids in my class than straight A’s. I always tell my students good manners will get them further in life than any A in 4th grade Science ever did. Emalie Jean – Something I wish parents knew is how much time we put into creating every day lesson plans. I spend hours of my own time creating and developing so much of my curriculum! I don’t leave every day at the Bell. To parents…be proactive in your child’s learning. Talk about the good, the bad, the struggles and the successes! Kelly Eason – As an elementary teacher, your child needs their sleep!! Please don’t let them stay up late. Please make sure they eat breakfast. Paige Connell – Teachers want you to know how much they love and pray for your kids, before they even meet them! I’m a HS English teacher, and we go back next week, and I’m already picturing my classes and anticipating them. Just remember that if your kid’s teacher has young kids also, the work for them never stops, and they are ALWAYS feeling guilty about choosing which set of kids to devote to in that moment–their biological kids or their classroom kids. And it’s not as easy to choose as many might think. They all have our hearts. 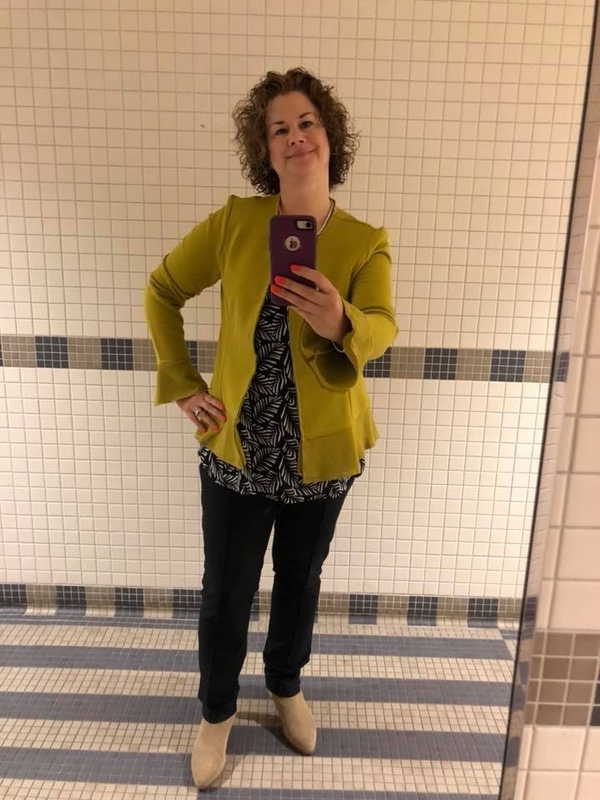 Lori Rubin (pictured below) shows how gorgeous the Courtney in Chartreuse is for parent-teacher conferences! Get yours now during the Back to School sale! 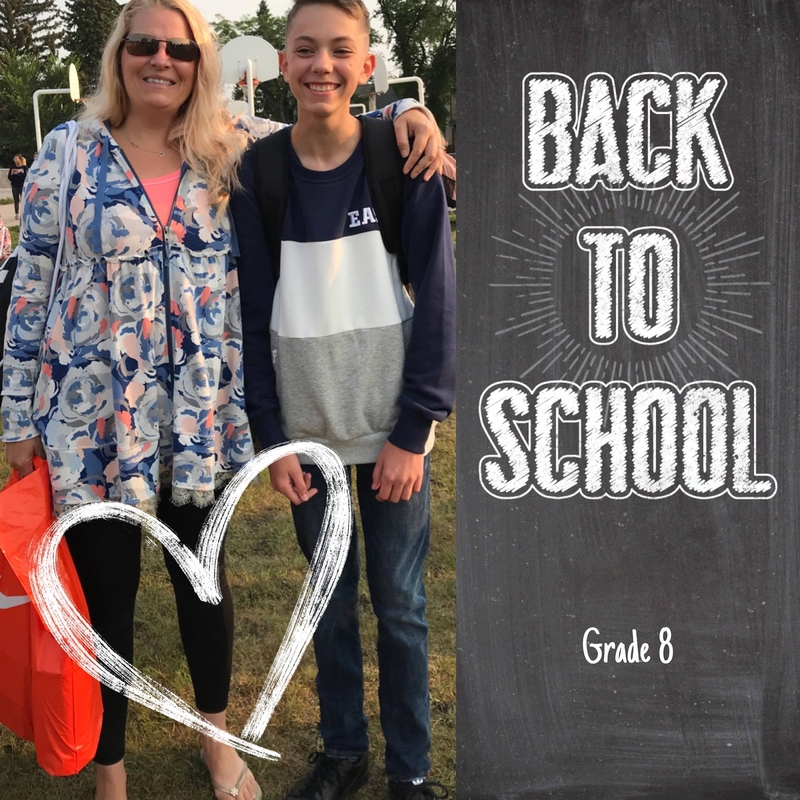 Tara Darcy Bober –I wish parents knew how much time I spend over the summer getting everything together and ready for the upcoming school year. I also wish they knew how much of my own money I spend on my classroom. I wish they knew these things not because I want their sympathy, but because I want them to know how much I love my job and being their child’s teacher!! I’d like to tell the parents and families of my students that I am their child’s biggest advocate! I will do everything in my power to make sure they get everything they need to succeed. I love each and every child that walks through my door like they are my own! Holly Nuijens As a teacher, I wish parents knew how much I love their child. They aren’t just “my kids” this year. They will always be my kids. I would tell incoming parents to always support the teacher in front of their child. Children pick up on attitudes at home and it carries into the classroom. If you have a concern, address it with the teacher privately. Remember we have the same goal-the success of the child. Katie Chesbro – Try to set a good bedtime for your kids. Rested kids are more focused and learn better! Sandra Patricia Britt – I am a Speech Therapist, or as the kids at my school call me “Speech Teacher” I would tell my parents that I have been preparing, and praying all summer for my upcoming students, and their parents, and that my goal is to become team mates with them in order to make the most progress and have fun learning! Chrissy Thornton Eby – As a middle school teacher, I like to say “Promise me you won’t believe everything your child says about me, and I promise not to believe everything they say about you.” It’s a friendly reminder to my parents to always come to me with any issue they may have. I want them to know that I am here to help and that we are a team that is working together for their child! Chrissy is pictured in our blog cover photo in the Nicole in Navy, on sale now in the Back to School Sale. Rebecca Adams Erkelens – I think one important back to school tip is to consider your child’s personality, so you can help them navigate school. An extrovert comes home from school energized from all the people time and ready to talk. This is a great time to hear about his day. An introvert may love her teacher and classmates, but after a full day of people time, she needs a break. 20 mins by herself (without technology) will do wonders and help her be able to participate in family life for the rest of the night. Julie Curry – I would love a nice water bottle as a gift. Or a gift card for supplies. Dixie Odom Megrew – I know my daughter says every teacher loves extra supplies. My husband has been known to take a case of tissues to the school for the kids teacher….tell her share or whatever…grade school kids just go through it. Jen Smith – The best back to school gift are fun pens or stickers to grade. Maybe your favorite coffee to make it through the first week or a dinner out so you don’t have to worry about cooking is a huge treat. Cassie de Turk – As a middle school teacher, I love coffee cards or fun grading pens for me or highlighters or pencils to share with my students. Carrie Anne Motsinger – While back to school “gifts” are certainly never expected- supplies for the classroom are always welcomed, as is breakfast for the staff (bagels, coffee, etc). Heather Kreischer – I’m always a sucker for new and fun school supplies, as well as anything sweet or special that lets the teacher know that you are excited about the year and you are ready to partner alongside us over the course of the year (just a note or conversation is amazing to start the year off right!). Amber Schlotterbeck Rush – Best gift- Evy’s Tree of course. Getting a simple treat with a saying is a nice little reminder that they are thinking of you. Also Amazon gift cards are the bomb.com! So many amazing things for my classroom are from Amazon. Dana Baisch (below) is entering the school year in style in the Sophie in Blue Rose Garden! Andrea Boswell Blakeman – I never turn up my nose at a Starbucks or Target giftcard. I’m also partial to hand written notes from my students. These tokens of kindness fill up my love tank. Wendy Beck Steiner – Please, no more mugs. Gift cards for coffee, class supplies, or the liquor store are always the way to go! Jamesie Cui Morningstar – search Pinterest for “Teacher Questionnaires” to hand out to new to you teachers. So throughout the school year, you’ll know what kinds of little gifts to give them. Not everyone loves coffee or candles. Danielle Dominic Dayton – As far as teacher gifts- all my students know, you can’t go wrong with coffee gift cards or nice water bottles. I also have a pretty great collection of bobble heads that I love to add to. Emalie Jean – As a back to school gift I would love tissue boxes and hand sanitizer! Even high school kids blow their noses and have germs. Kelly Eason – Target & Starbucks cards are always welcome & would be a sweet surprise. Paige Connell – Parents can help buy school supplies (there are never enough), send us a nice email, tell us they’re praying for us, email us a Starbucks card! High school teachers never seem to get the cute gifts and things like elementary teachers do, so don’t forget about them! Tara Darcy Bober – I typically don’t get any gifts from my students, but if I were to get something, I would love any type of school supply or fun pens and stickers to use for grading. I also like coffee and Target gift cards! Holly Nuijens – Starbucks cards or Amazon cards make awesome back to school gifts. We really have enough pens and mugs. 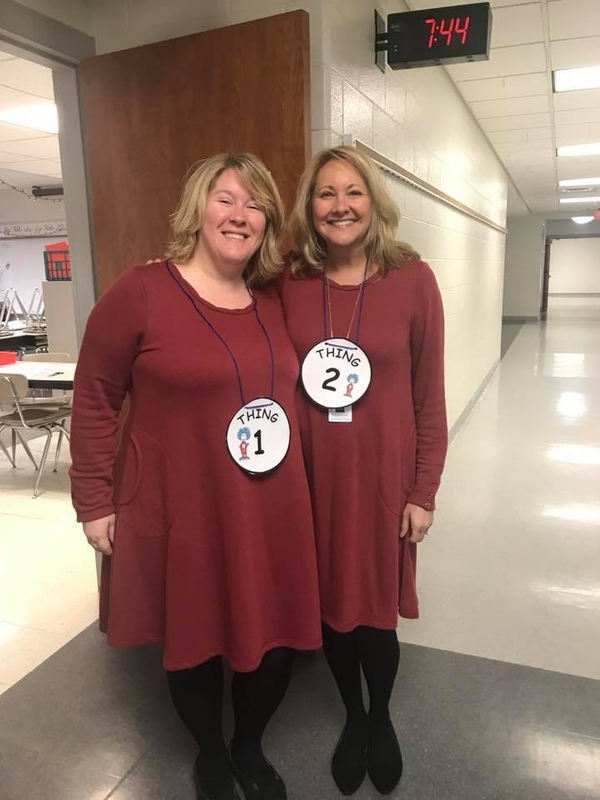 Wendy Steiner (below left) participates in the annual Read Across America event at her school. Such a darling pair in their matching Heidi Dress in Cherry, which you can snag in our Back to School Sale! Katie Chesbro – An awesome back to school gift is Halls or Ricolla throat lozenges and throat coat tea! Teacher get the worst sore throats the first week back at school from all the talking we have to do that we haven’t done all summer. Sandra Patricia Britt – I would want some organization stuff, like post it, reminders, and encouragement stickers. 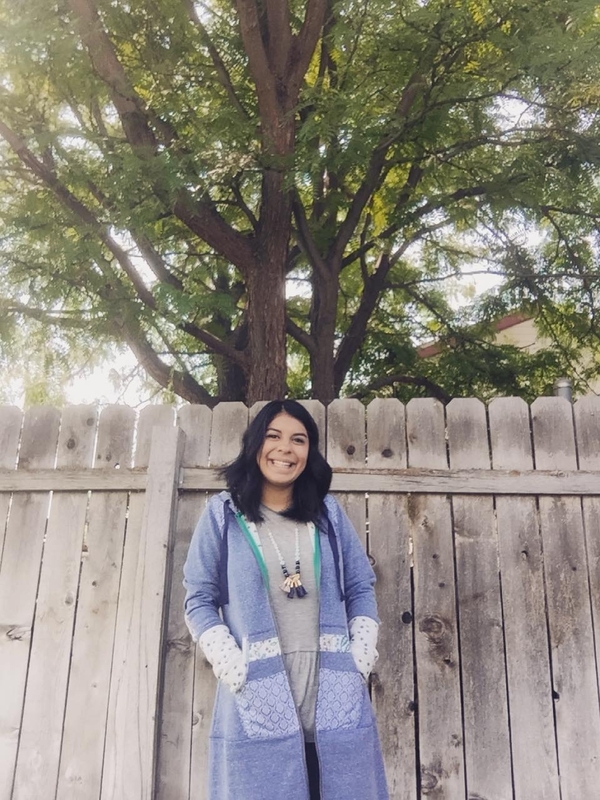 Sandra (pictured below) told us that her Rosie in Dove Gray is perfect for when her classroom gets chilly! Get yours now during the Back to School sale. Hannah Lampe – As a teacher find out what their favorite treats are: coffee? Wine? Books? Clothes? Chocolate? And plan accordingly. Gift cards are awesome. Rebecca Adams Erkelens -One my favorite teacher gifts was a Burt’s Bees travel set, just in time for holiday travel (it came from the son of a teacher!). One thing my girls and I did this year for their teachers was to buy them stainless steel travel mugs at the beginning of the year, and bring them after school drinks on surprise afternoons. One teachers liked iced tea and the other iced coffee, so we had fun making different flavor combos for them. Our teachers are often after school prepping, so there were days where they were SO happy to have a nice cold drink. We are in southern CA, so cold drinks are in order most of the year! I love this post and I love all my Evy’s Tree Hoodies! Teachers LOVE Evy’s Tree. I rock my hoodies at LEAST twice a week!